Fall in Colorado is an absolutely stunning time of the year, especially for the fall foliage that is displayed throughout the state at various times in September and October. We try to go for a drive every fall to see the beautiful fall leaves. 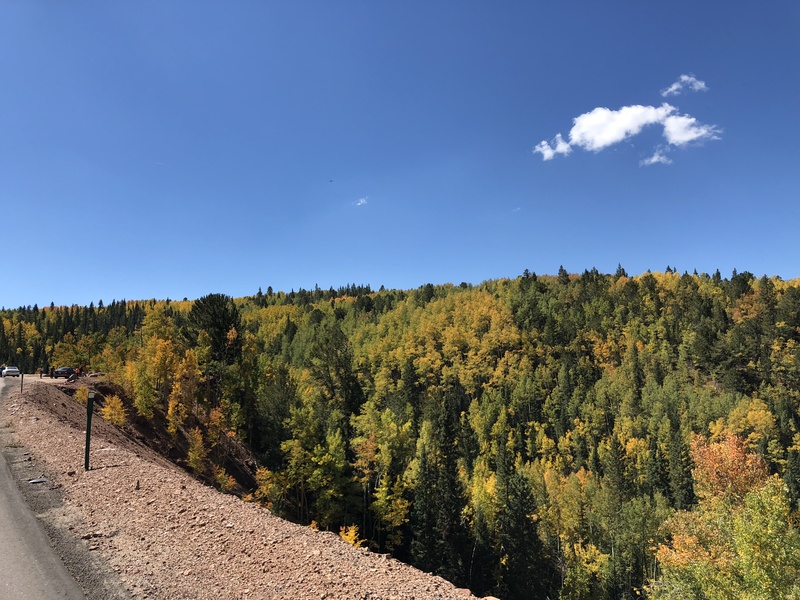 The Colorado aspens range anywhere from a lime green, to brilliant yellow, reds and browns. Speckled in between are the dark green evergreen pine trees, providing the most beautiful contrast. Fall colors begin to change here around the 2nd week of September and carry on through the 2nd week of October, depending on what part of the state you’re at. We are fortunate to live right smack in the middle of the beautiful Pikes Peak area where the aspens are stunningly beautiful. We take a drive along the scenic Gold Belt tour. 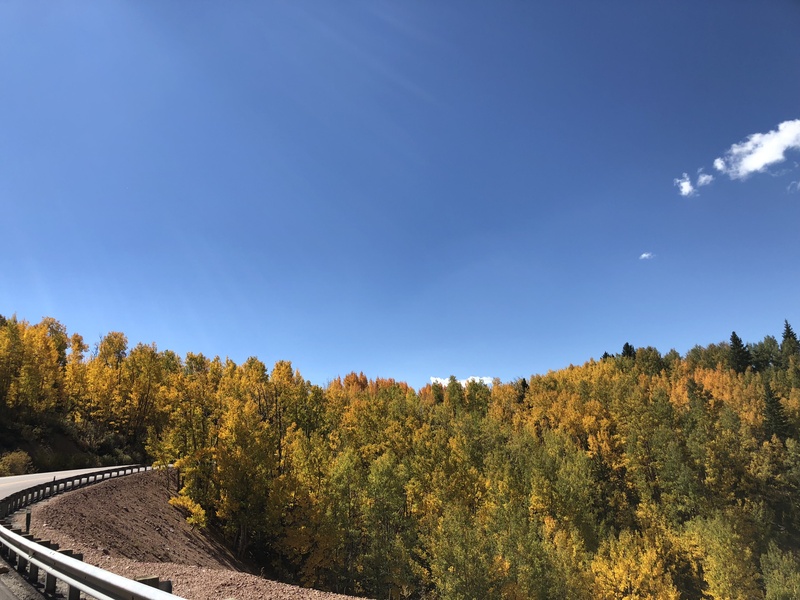 We start here in Cascade, and drive through Woodland Park, and turn off at Divide, and on to Cripple Creek, where the majority the amazing fall colors are along this drive. Along the way you can turn off onto Gold Camp road and head back to Colorado Springs on another scenic drive. Or from Victor, Colorado you can take Phantom Canyon Road, our usual route, which takes you to Florence and Canon City. We usually stop in Canon City at the Holy Cross Abbey and do a little wine tasting and pick up a few bottles of our favorite wines. Or carry on to Cripple Creek and take Shelf Road to Canon City. It’s a highlight of places to go in Colorado for us each fall. 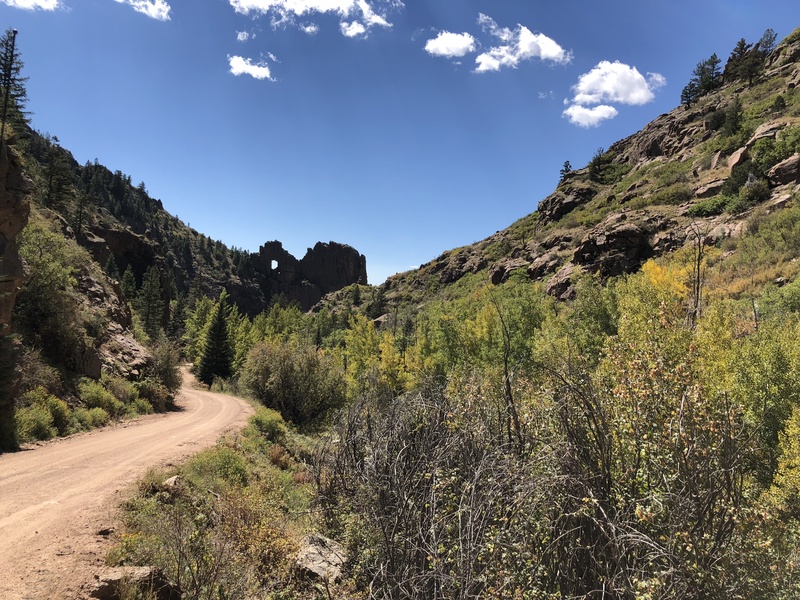 We just went yesterday (September 18, 2018) and drove to Cripple Creek and then along Shelf Road to Canon City. Once we got to Canon City we continued on along the Arkansas river and found a spot to have the picnic lunch we brought with us. It was just a week or so early, the leaves were turning and were beautiful, but will probably be at their peak in the next week or so. 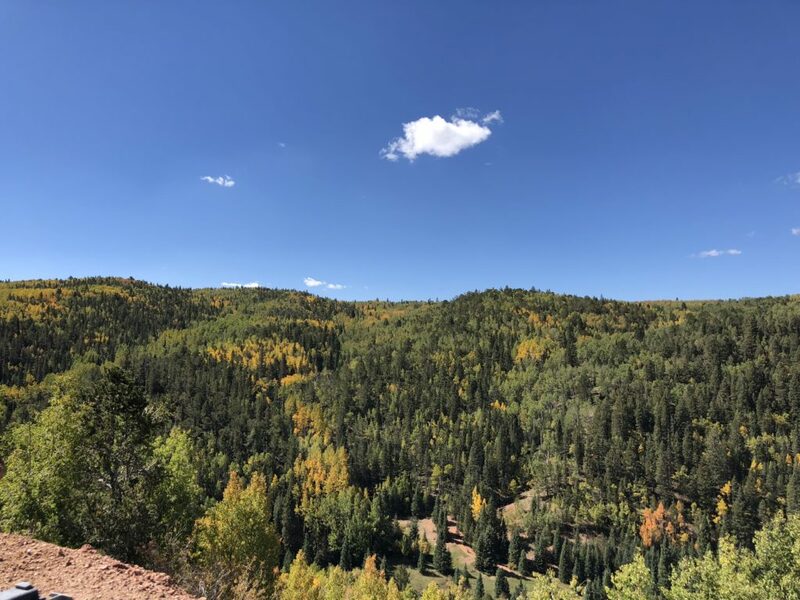 So this is the perfect time to book a stay in our Cabin, Cottage, or Bed and Breakfast Lodge for the next week or two and take advantage of the beautiful Colorado fall colors. And to sweeten the pot, we are running a 20% Off Special for stays in our Cottage during September and October. This entry was posted in General and tagged aspen leaf, aspen trees Colorado, best places to visit in Colorado, Colorado fall colors, fall colors, fall foliage, fall in Colorado, fall leaves by Debbie Reynolds. Bookmark the permalink.